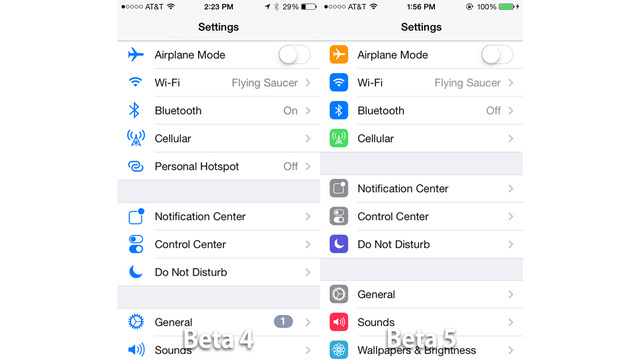 Apple clogged bugs in the fifth beta version of its OS mobile iOS7 and added visual changes. 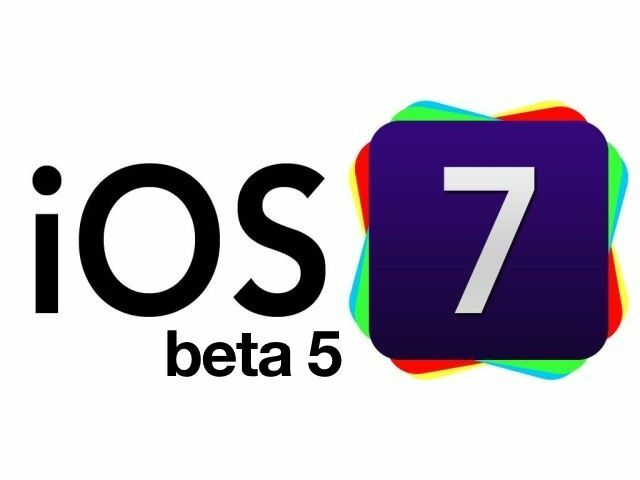 After the launch of iOS 7 beta 4 , Apple has released the fifth beta version of its mobile OS for developers. In addition to correcting some bugs, it contains various improvements. The icons displayed in Settings, which were blue, are now in different colors. Cursor shutdown has also been changed, and the Twitter icon has been inverted (blue bird on white background). In addition, the windows menu that appears when the user is in communication are now surrounded by circles. The Cupertino company has also added the ability to disable the control center when a user launches an application. In addition, banners notifications can slide down to reveal more information and new on / off buttons allow you to switch in the Accessibility menu. Interestingly, it seems that Apple has changed the splash screen that appears when installing iOS 7 to correspond with the color of the device used. However, it seems that this feature only works on the iPhone 5 at the moment. Finally, the messages have been adjusted slightly and no longer displayed by default the name of a contact in a conversation, unlike the first name and the initial of the name with beta 4.